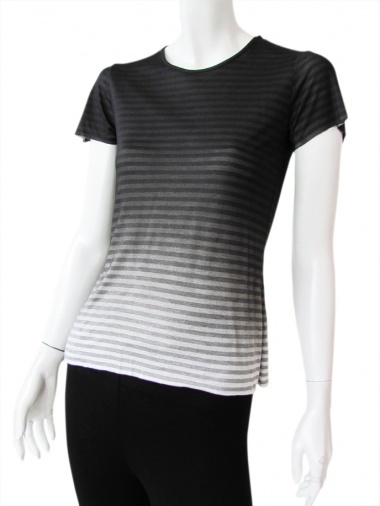 Striped t-shirt 100% Viscose by Delphine Wilson - Clothing Women T-shirt On Sale. Shortsleeved t-shirt with wide round collar, "madonna". Black stripes on shaded white basis, regular fit.